The Dubai World Cup is known as the “richest day of racing” on the international calendar with over €31 million in prizes on the day. 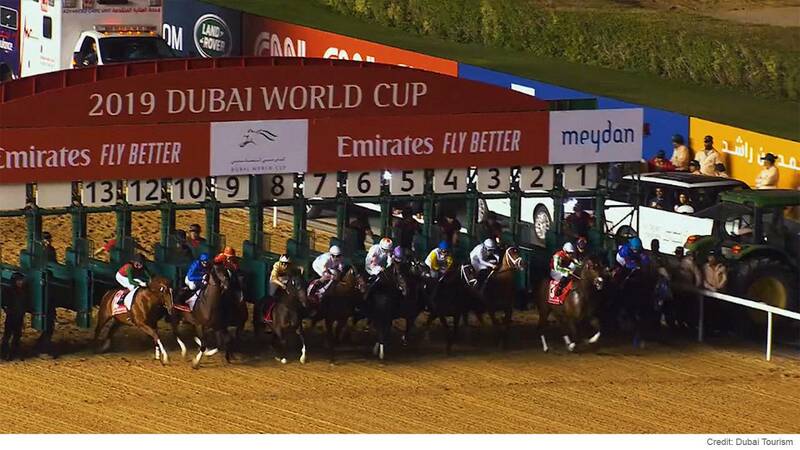 The last race of the night and the event highlight is the Group 1 Dubai World Cup which is worth almost 11 million euros. Attracting an estimated 60,000 people from all around the world, it’s one of the most vibrant events on Dubai’s social calendar. The day starts early at Dubai’s iconic Meydan Racecourse. Race starter Shane Ryan is up with the larks for the morning track work. At the starting gate for the Dubai World Cup Day, he lets the horses out of the barriers. But a lot of preparation takes place in the weeks and months beforehand. Ryan told Euronews. Behind the scenes, Ghrainne Clancy, the head Paddock Steward (at the Dubai Racing Club) plays a vital role in making sure the horses and their riders are in the right place at the right time. She’s worked in the Dubai horseracing industry for the last 13 years and has been at Meydan since it opened in 2010. Watch the full episode of the Dubai World Cup, this week on Euronews.